Spring STEM Adventures Registration is now available, click here! Rock climbing, SUP, kayak, disc golf, swim, snorkel, team build, and more!! SUP with a PUP, Family Paddle Days, school fundraisers, scouts, and more!! Our Summer Camps are wildly popular!!! We offer summer experiences for kids like no other camp! 3 Types of Camps: Adventure, Water, and EcoAdventure....something for every child! 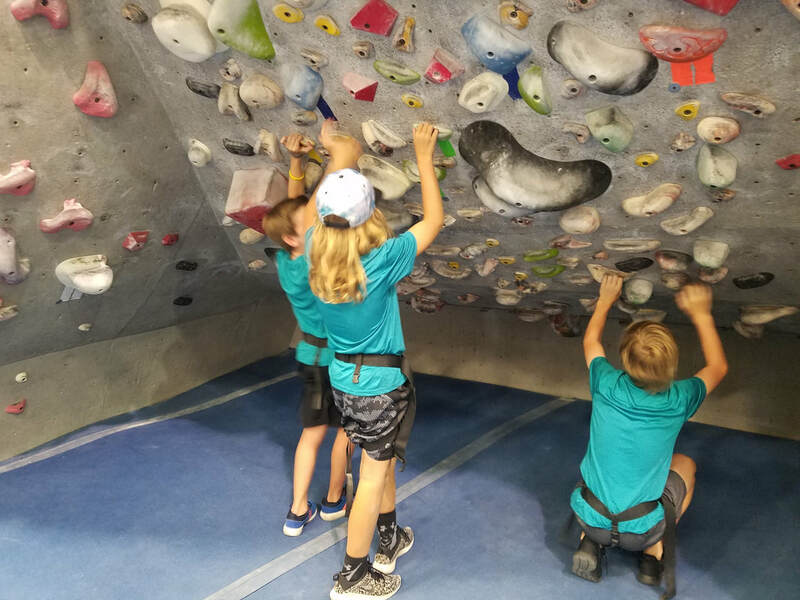 All day, week long experiences, where kids learn new skills, enjoy the outdoors, and meet new friends. Stand up paddleboard, kayak, rock climb, disc golf, ice skate, marine science, and more! And...team building! We pride ourselves on helping kids practice and understand the value of cooperating with others. ..... registrations available soon, click here!! The Original Outdoor Adventure Company! Time to hit the water!!! 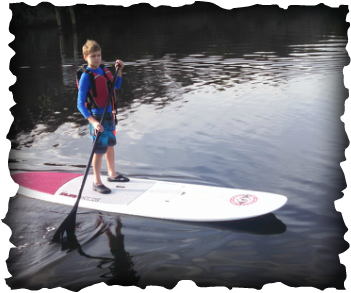 Paddle boarding is great way to enjoy our beautiful waters, and get a great workout! 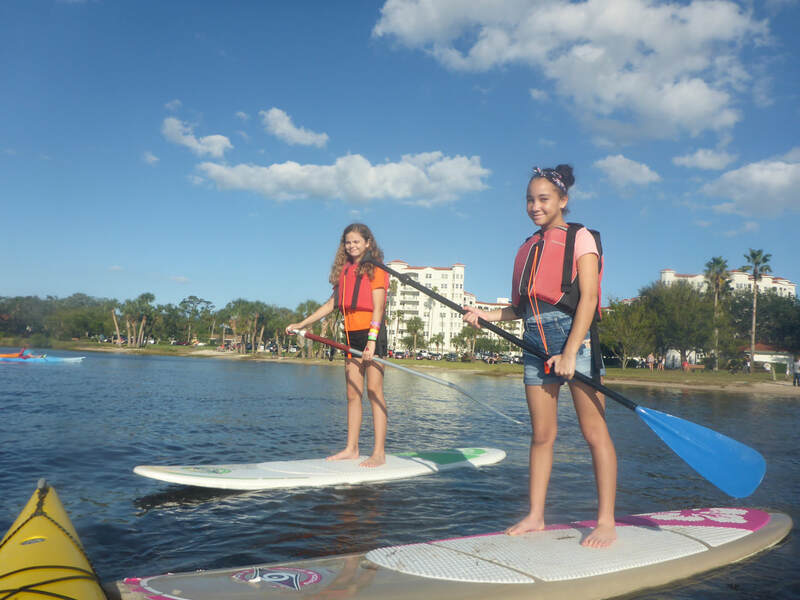 The basics are easy to learn and you'll paddling around looking for manatees in no time. Okay, the kids make it look easy!! But it really is easy, completely relaxing as your effortlessly make your way along the creek.